This Gluten-Free Carrot Cake is so easy to make, has such classic flavors and is perfect to serve a crowd. 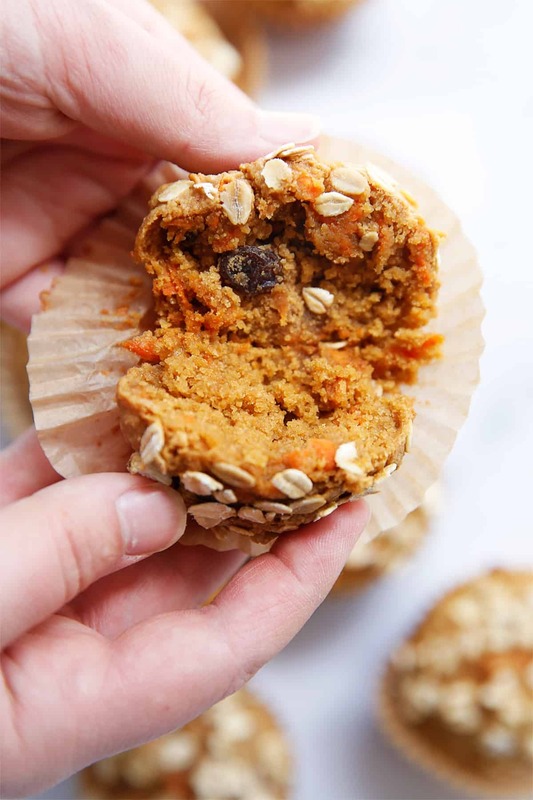 This healthier, more nutrient dense take on the classic carrot cake is gluten-free, dairy-free, paleo friendly and made without any refined sugars! It can be topped with a classic cream cheese frosting, or made dairy-free with homemade fluff. Either way it will be welcome at any celebration or holiday dinner (or just a regular tuesday afternoon)! 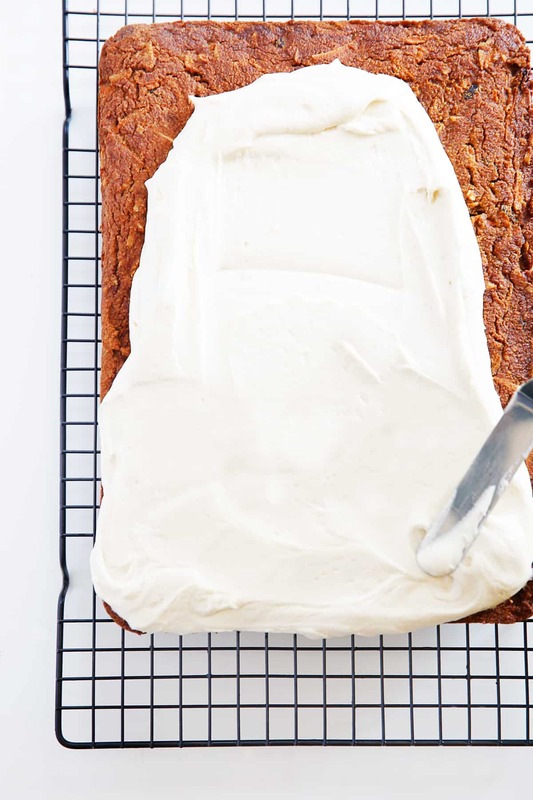 We are so in love with this Gluten-Free Carrot Cake! 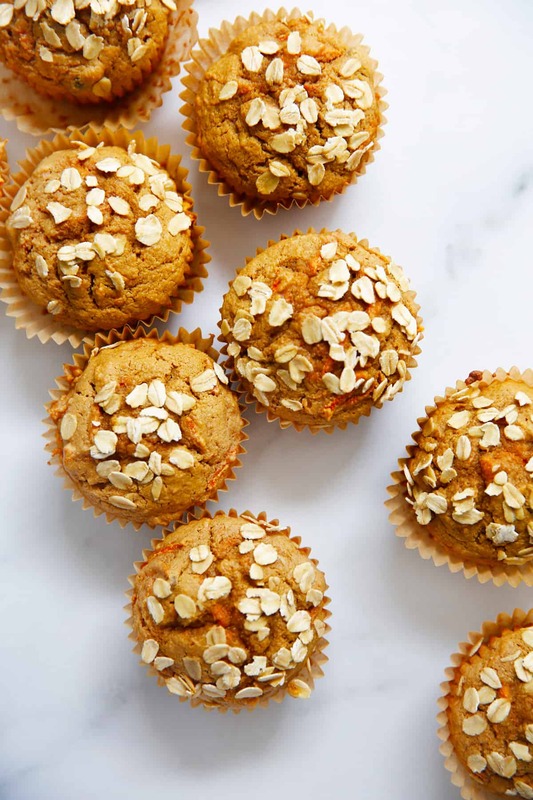 Aside from the fact that this carrot cake is just darn delicious, our version is so much more nutrient dense and healthier than a traditional cake that we don’t feel so ridiculous eating it for breakfast. It’s the perfect cake to serve at a celebration of family holiday and is a breeze to make! 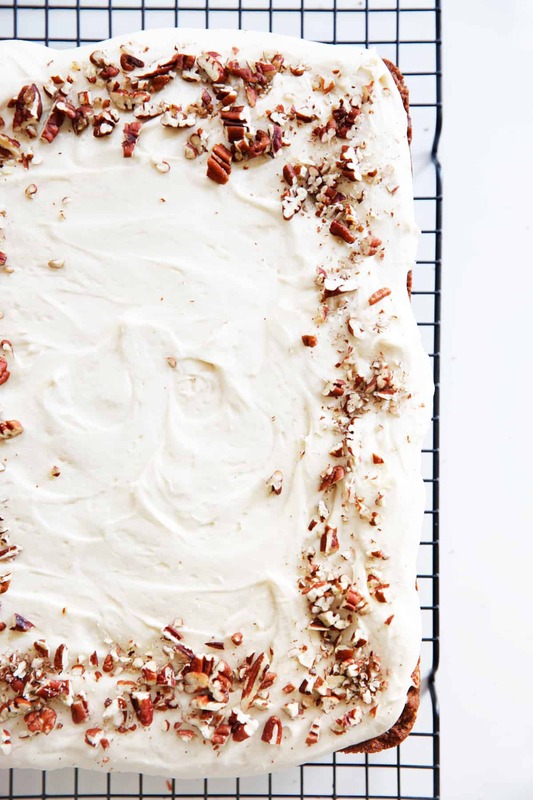 The cake itself is also dairy-free and paleo, plus we give options below for changing out the cream cheese frosting.. 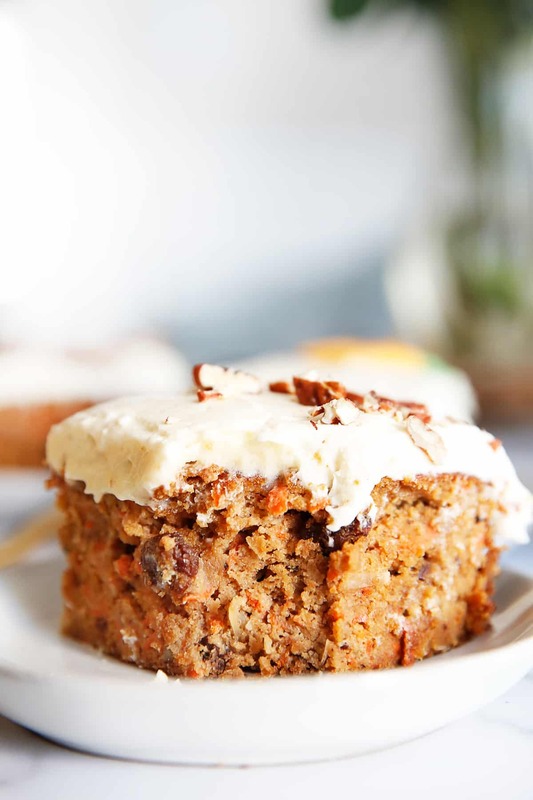 This Gluten Free Carrot Cake is SO EASY to make because it’s made all in one bowl! So we wanted to keep the rest of the cake simple too by making it a sheet cake. We baked it in a 9×13″ cake pan, but it will work in any similar sized baking dish. We’ve done layer cakes in the past year (see chocolate and vanilla versions) so this just felt like the way to go, though you can bake this as a layer cake if you wanted. In the past we’ve recommended always baking our style of gluten free cakes in 6″ pans because they are slightly more delicate while also being heavier than traditional wheat cake, but this one might work well baked in 2-8″ cake pans if you’d like to make it a layer cake. Which gluten free flour is best for cake? 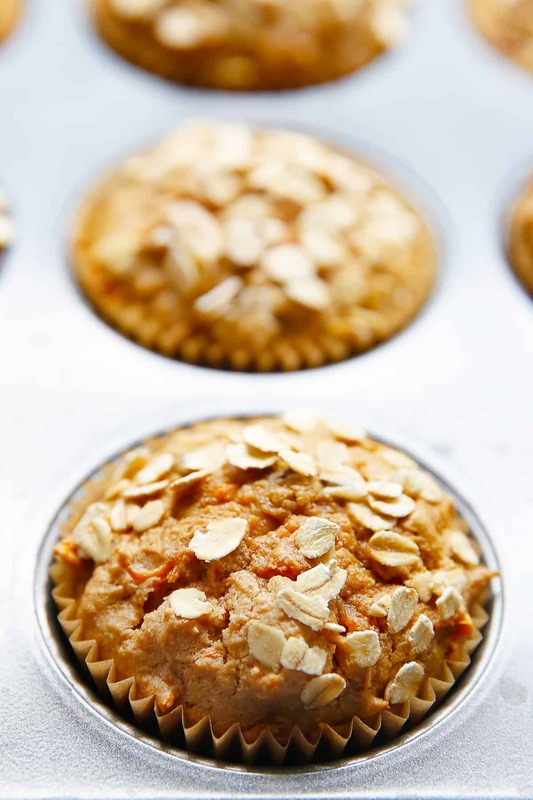 As always we love our favorite blend of almond and coconut flour. It is so moist and tender and really easy to use. Most people wouldn’t be able to tell the cake was gluten free. If you are looking for a nut free cake, check out this recipe here. We’ve opted to top this with a classic cream cheese frosting, but you can feel free to use either a dairy-free cream cheese with this recipe or instead top it with our Marshmallow Fluff recipe which is dairy and refined sugar free. 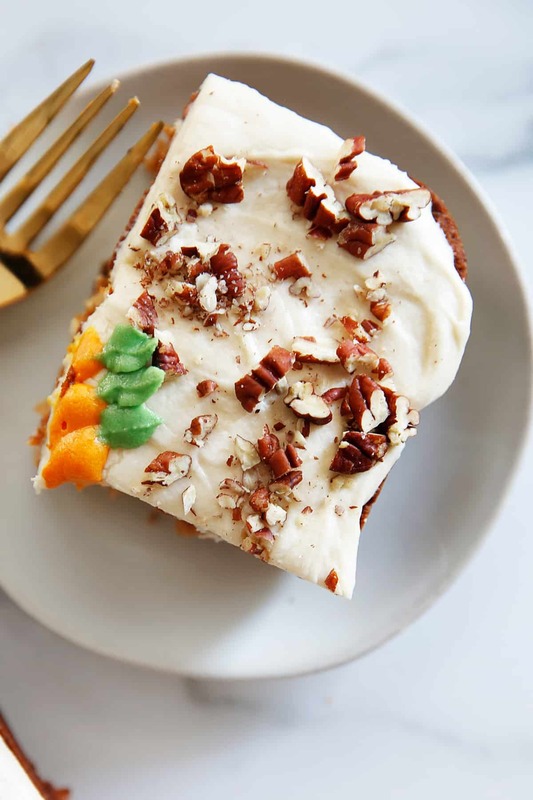 This cake is also delicious by itself and can be served alone, but this gluten-free carrot cake uses less sugar than most carrot cakes so you may notice it more without a frosting. Sift your almond flour and coconut flour first if they are lumpy. It makes it easier to fully incorporate. Use an electronic kitchen scale if you have one. It makes it easier to measure the gluten free flours, and we’ve included grams in the ingredient list. Gluten free cakes are a little tricker to check when they are done. Some signs to look out for: the cake is nice and golden brown, it has completely puffed up throughout, cracks are not uncommon, when you stick toothpick it it should come out clean, and when you gently press in in the center of the cake it will spring back as opposed to leaving a dent (which is a sign it is underdone). The cake can be made up to two days in advance. Leave it at room temperature covered until ready to frost. We direct you to use a parchment paper sling to bake the cake in. If you plan to serve the cake inside of the baking pan you do not need to use this. If you want to take the cake out and serve on a different platter the sling will help you easily take it out of the pan. Once it is frosted it needs to be kept in the refrigerator. It can be assembled up to two days in advance. As most cakes, it will get more moist each day it sits. Preheat oven to 350ºF. Prepare a 9" x 13" cake pan or baking dish by coating with cooking spray and making a parchment paper sling. Set aside. In a large bowl add the avocado oil, coconut sugar, eggs, almond milk and vanilla extract. Whisk well until fully combined. To the bowl add the almond flour, coconut flour, baking powder, baking soda, spices and salt and whisk it together until it's fully combined. Fold in the carrots, pecans, coconut and raisins. Place batter into the prepared baking dish and smooth down the top with an offset spatula. Baking in the middle rack for 45 minutes, or until the top is puffy and the cake springs back when lightly pushed down in the center. Let cool completely. This step can be done up to two days in advance. With an electric mixer beat the butter until fluffy, about 2 minutes. Add the cream cheese and vanilla and beat until the mixture has lightened up, about 3 minutes. Add the salt and sugar and mix on low speed until well blended. Increase the speed to medium and beat until fluffy, 1 to 2 minutes. Place the frosting in the center of the cake and smooth it over the cake with an offset spatula, creating waves. If desired top with chopped pecans. You can swap out the avocado oil for another baking oil you have on hand, such as melted coconut oil or light olive oil. Looking to make a smaller cake? We've included a halved recipe below. You can bake it in either an 8x8" square baking dish, or a 8" cake pan. Baking time will be between 30-35 minutes. Look for a lightly browned top that has puffed up all over and the middle springs back when lightly pushed in. 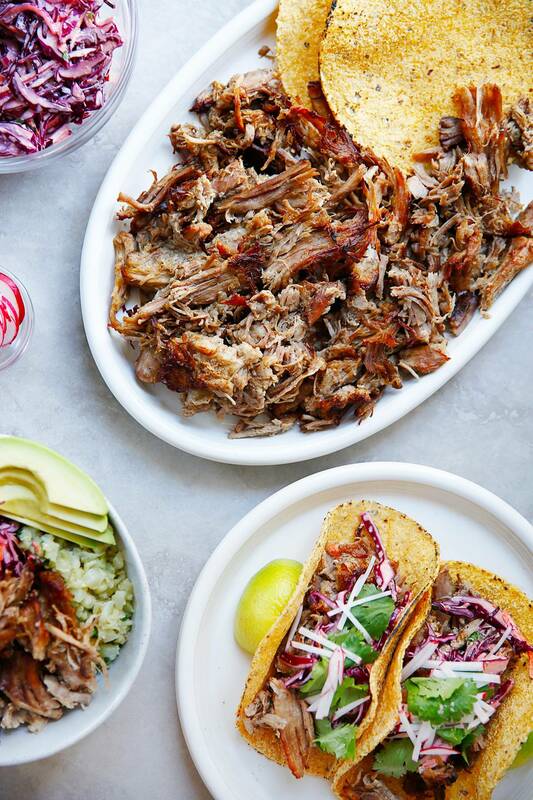 This Pork Carnitas recipe, made either in the Instant Pot or Slow Cooker, is an easy and flavorful dinner or meal prep for a healthy start to the New Year. 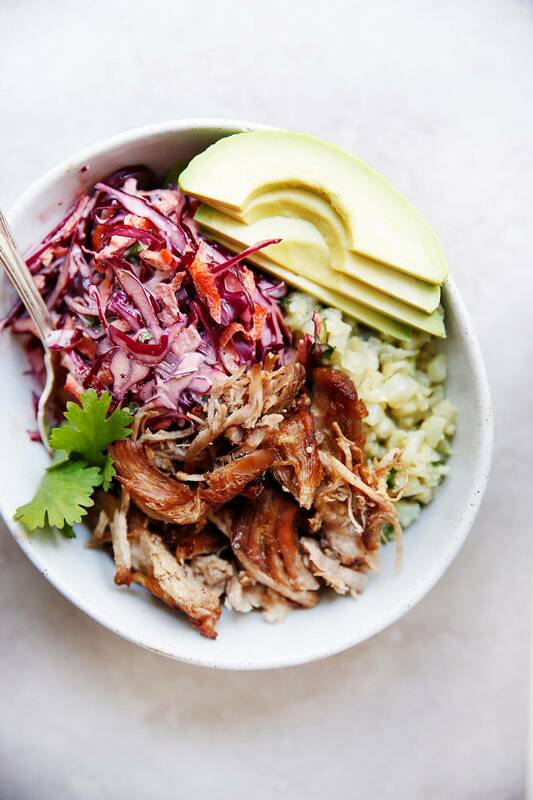 It’s Whole30, Paleo and Keto friendly and pairs with so many different sides (including this Healthy Cole Slaw recipe) that makes it a no-brainer to put on your cooking list now. 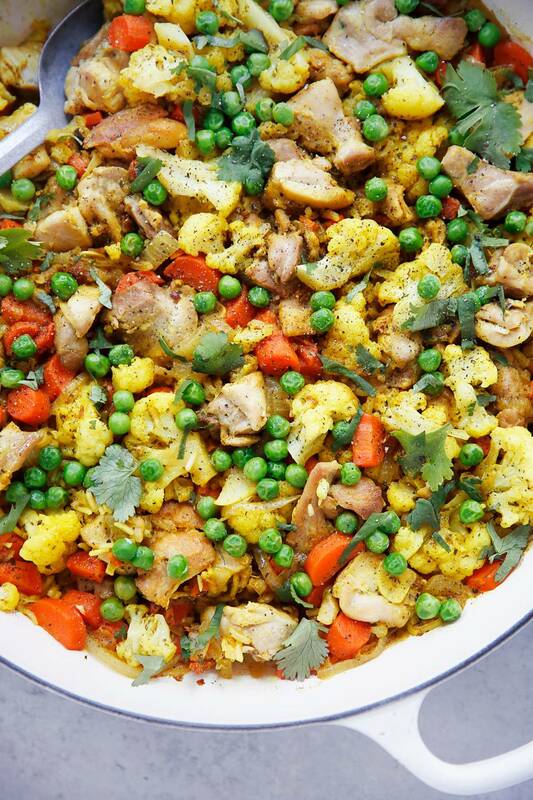 This recipe is a favorite at our Food Editor Kelli’s home. It’s on rotation at least twice a month and served for both dinner and then for lunch a few days of the week. It’s so easy to put together in either the slow cooker or the Instant Pot and with minimal ingredients. 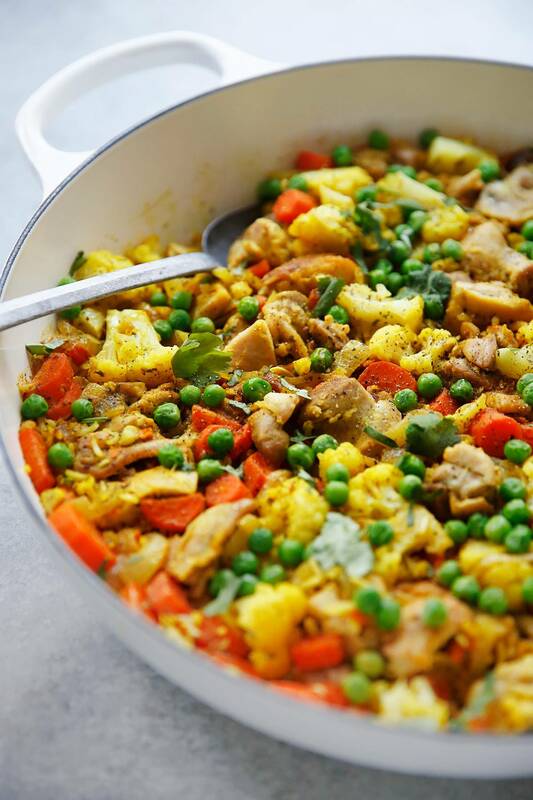 It’s also versatile in how you serve it: you can put it in tortillas as a kid-friendly dinner, serve it with cauli-rice if you’re doing the low-carb thing, or as Kelli’s favorite over a simple slaw for a quick meal that can be eaten for lunch over a few days. 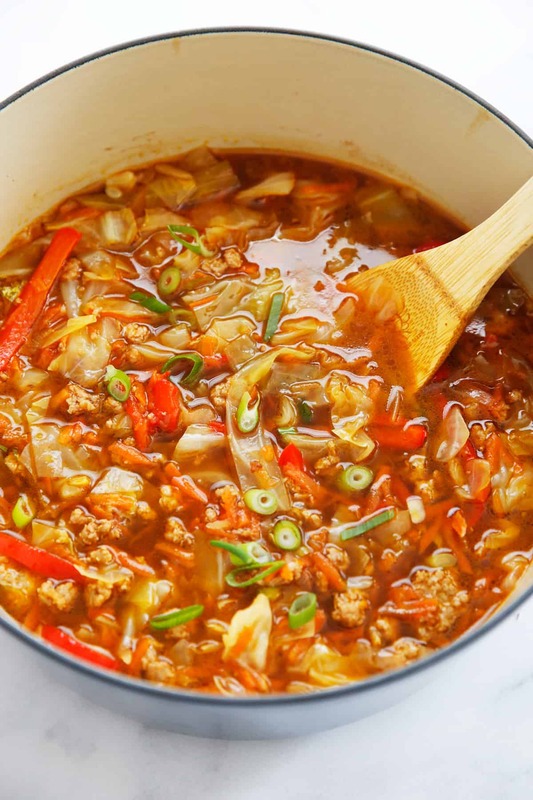 We love the simplicity in the flavors here: the pork isn’t inundated with too many spices but really relying on the basics: an onion, a teaspoon of chili powder and a pinch of garlic and cinnamon. Wondering about the cinnamon? There is no sugar in this recipe, but the cinnamon gives it the most subtle hint of warmness that you couldn’t detect what it is, but would surely be missing out if it wasn’t included. Trust us on this one. 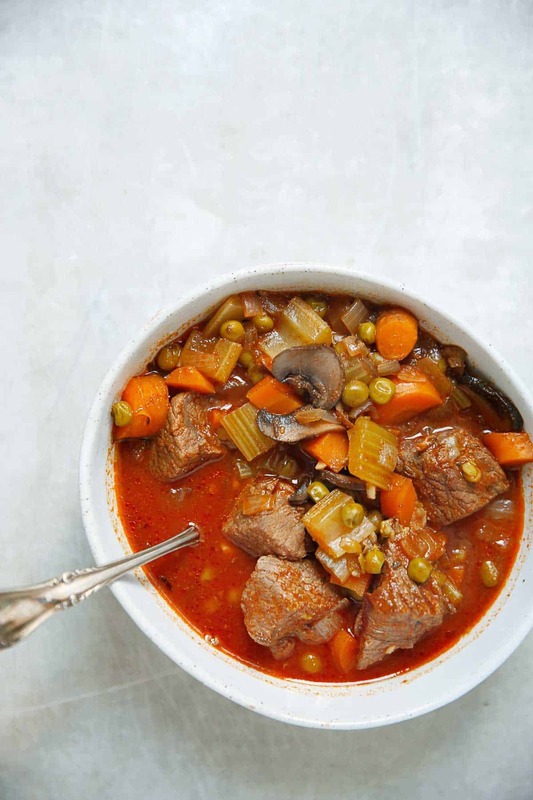 We’ve included recipes for both the long method in the slow cooker, or the faster version in the Instant Pot. 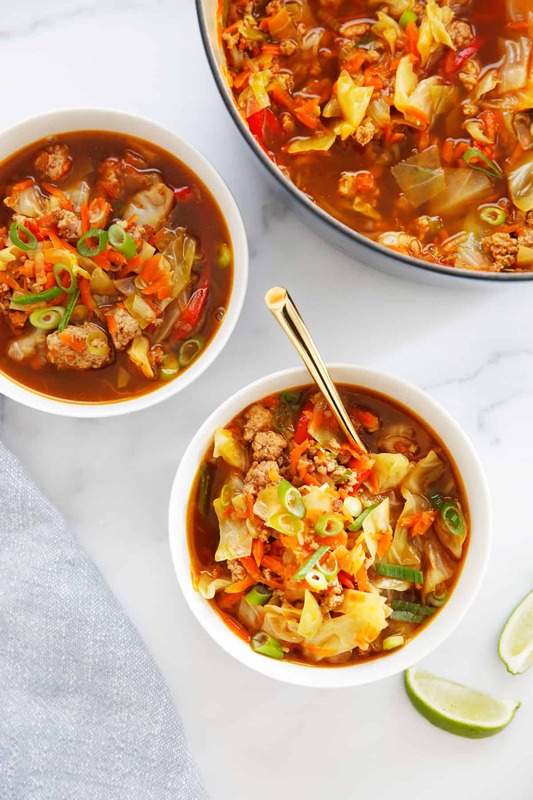 For the Instant Pot version there isn’t any liquid included in the ingredients. The onion and the pork will release so much liquid that it isn’t needed and will safely come up to pressure. After the pork is fork-tender you can do the optional step of broiling the carnitas until they’re nice and crispy. Garnish with a bit of lime and a splash of the cooking liquid and this meal is simplicity at it’s finest. Check out the Healthy Cole Slaw recipe to pair it with! 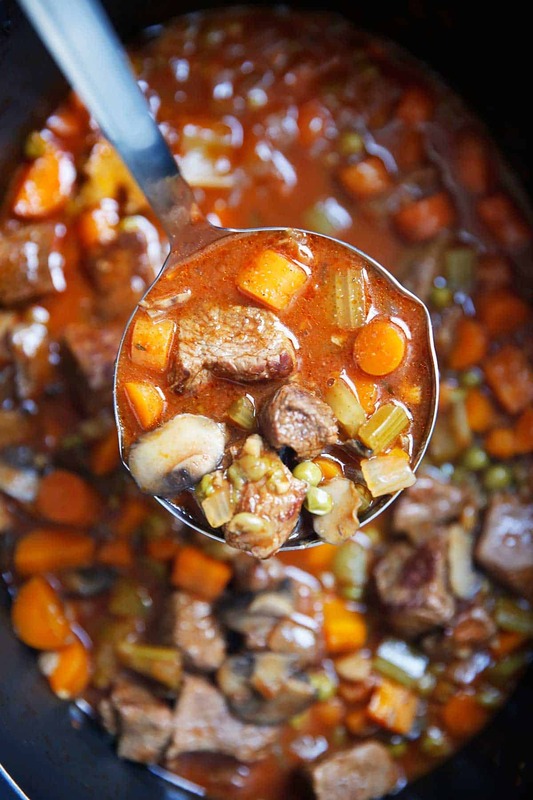 Place all of ingredients in a 6 or 8 quart Instant Pot, close the lid and set the vent to sealing. Cook on Manual High Pressure for 60 minutes, and let it natural release for at least 10 minutes (but you can let it fully naturally release if desired). 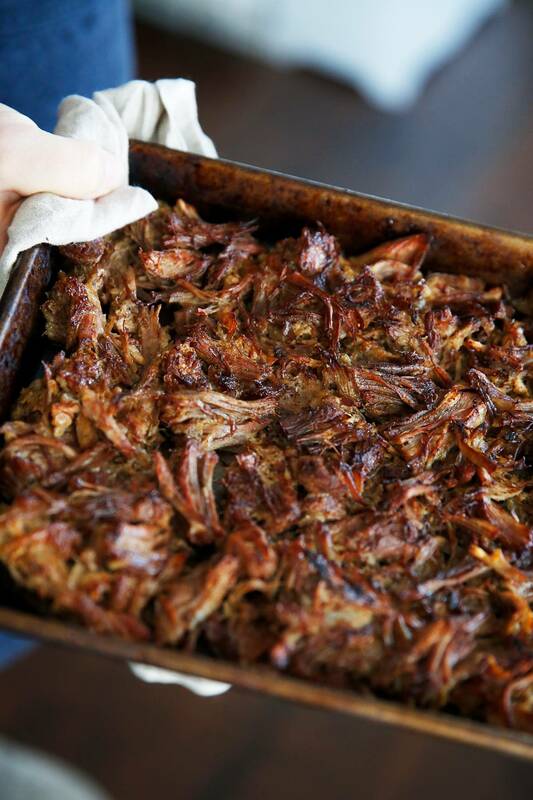 Shred the pork and using a slotted spoon place carnitas on a rimmed sheet pan and place under the broiler until nice and crispy, about 5 minutes. Spoon some of the cooking liquid and the juice of 1/2 a lime over the carnitas. Serve with cole slaw, tortillas or with caulirice. 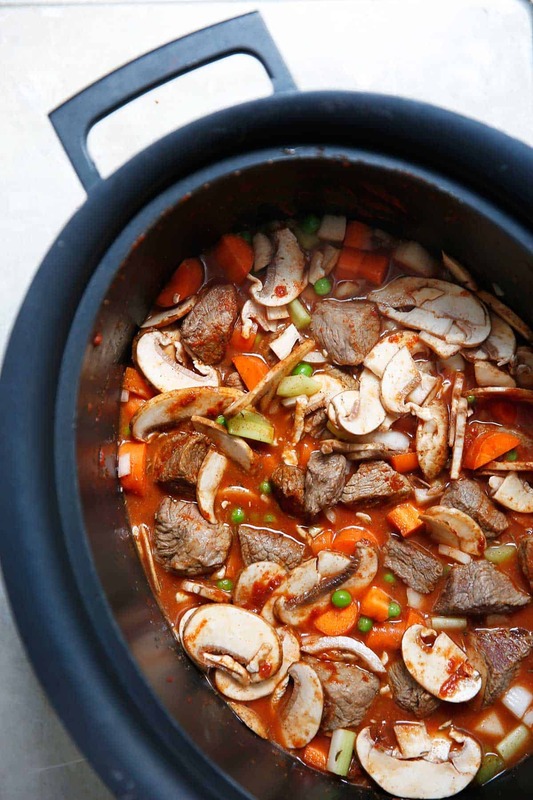 Place all ingredients in a slow cooker and cook on low for 7-8 hours until the meat is fall-off-the-bone tender. 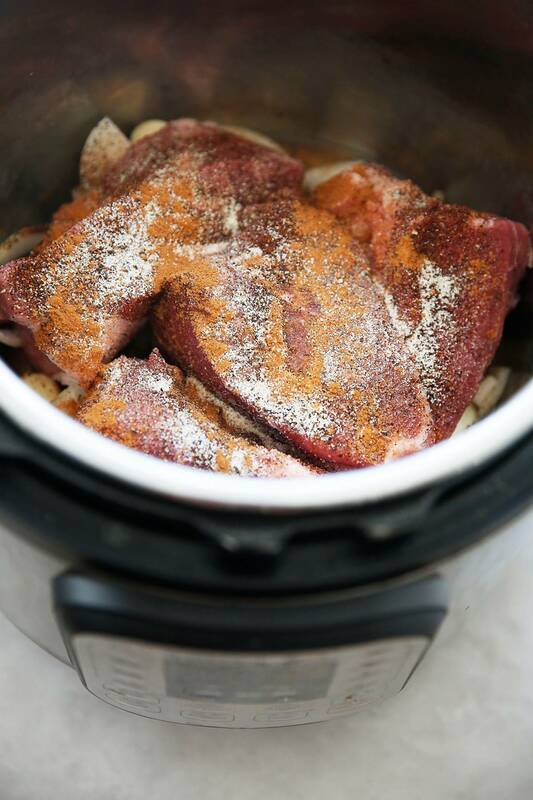 Don't throw away the liquid remaining in the bottom of the Instant Pot / Slow Cooker, it's super flavorful and should be spooned over the crispy carnitas! There is some fat in there, so you can store it separate so you can scoop it off when it's cold, but we didn't feel this was necessary we just stored and leftovers all together. Not it isn't a mistake the no added liquid is included in these instructions! For both the Instant Pot version and Slow cooker there isn't any liquid included in the ingredients. The pork releases so much liquid that it is not needed. We are aware the it states the Instant Pot needs 1/2 cup of liquid at least to work, so we initially tested it with 1/2 cup of liquid but it resulted in an extreme amount of liquid at the end because the pork and onions releases so much that going forward we did not use any added liquid in the beginning and ours cooked up beautifully during testing, with no error in our IP. 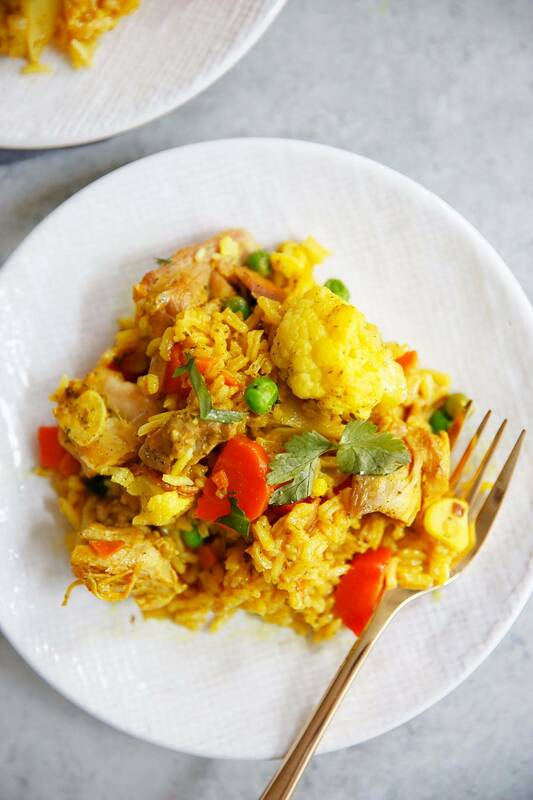 We tested it in two different Instant Pot's (a 6 qt. and an 8 qt.) with no error. If your Instant Pot has an error message, as we've gotten one comment with that, go ahead and put in 1/2 cup liquid, either water or broth. You may need to reduce the liquid after the cooking time. 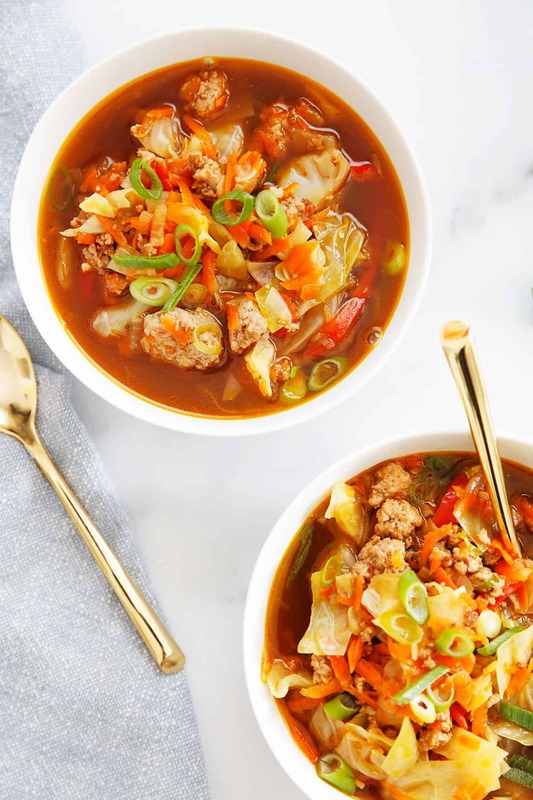 You are looking for a resulting flavorful broth!